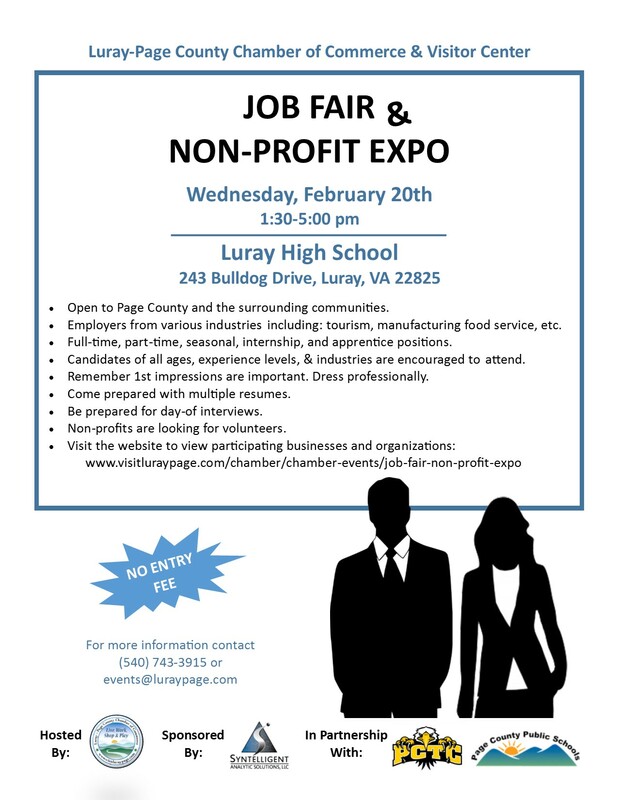 An annual event helping our Tourism businesses kick off their seasonal employment and our business community to fill open positions, this year's event was Wednesday, February 20th, 2019 at Luray High School. This event is open to high schoolers and the community as a whole. High schoolers looking for summer employment or volunteer opportunities to fulfill their requirements are encouraged to attend by teachers and administration. As were locals looking to find meaningful employment opportunities through our local businesses and volunteer opportunities with local organizations. Stay tuned here and on our Facebook event page for information on this year's participating businesses and non-profits.